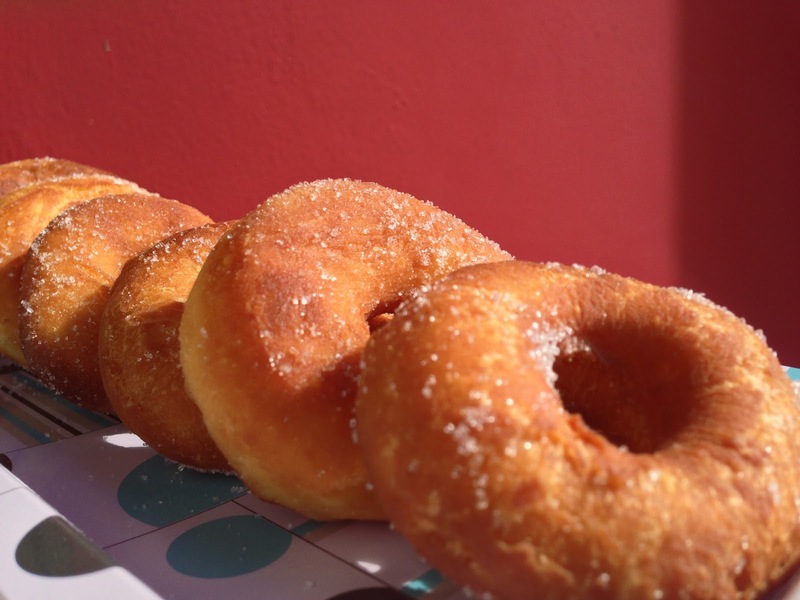 Are you bonkers about doughnuts? Then this recipe is for you! 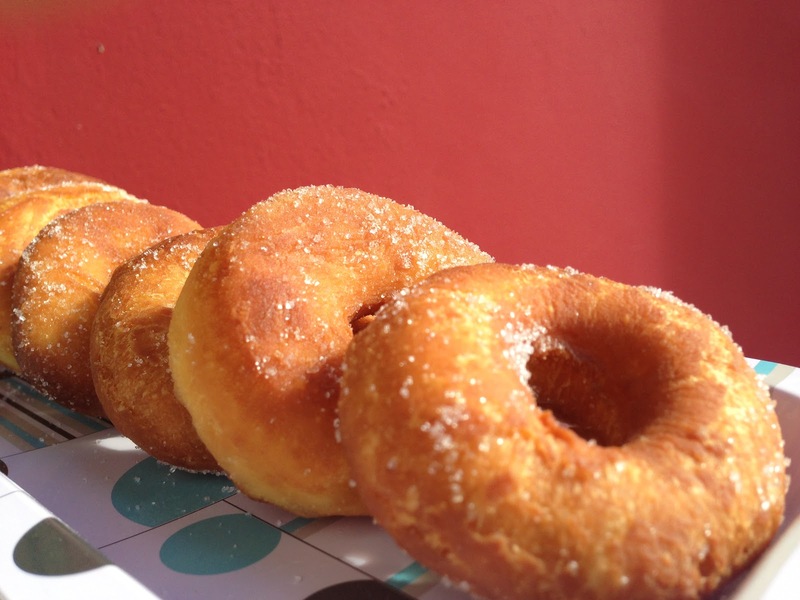 It's not close enough to Krispy Krem's doughnuts, but you can always make your own version of it, right? The recipe is from The Daring Bakers October 2010 Challenge, which I halved [I am not a fan of doughnuts, unlike my boyfriend!] I skipped the glazing for this time, and went for something simple like a sugar topping. But you could well glaze with icing sugar or chocolate and fancy sprinkles. Please read the note section at the bottom! Yields 15-20 medium size doughnuts. Start by combining the warm milk with the unsalted butter. Add the dry yeast to the warm water, it should get foamy after some 5 minutes. After 5 minutes add the dissolved yeast to a large bowl of a stand mixer, then add the warm milk and butter mixture (make sure they have reached a lukewarm temperature). 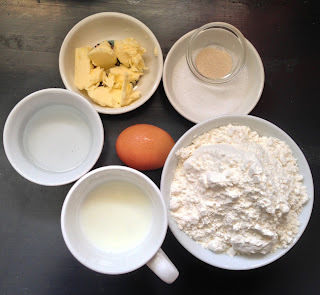 Then add the egg, the sugar , the grated nutmeg and half of the flour. 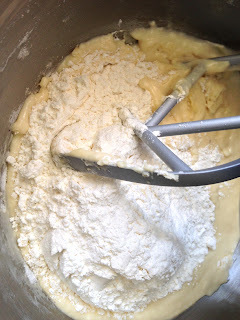 Using the paddle attachment of your stand mixer (if you have one, else, use the beaters of your hand mixer, or use a whisk), combine the ingredients on low speed until the flour is well incorporated. Turn the speed to medium and beat well. Throw in the remaining flour, combining on low speed and then changing the speed to medium, beating well. Drizzle some oil in a large bowl to which you will transfer the dough. Cover with cling film and let rise for atleast 1 hour in a warm environment. Roll the dough, on a well-floured surface, to 3/8 inch (9mm) thick. 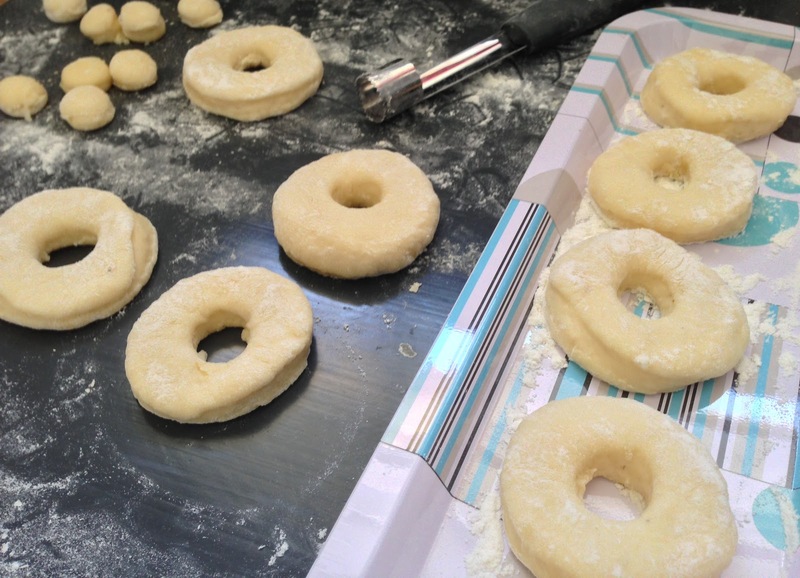 Cut out the dough with cookie cutters with diameter 2½ inch. Cut the center with a small cookie cutter of 7/8 inch (22mm) diameter. Transfer onto a floured baking sheet. Cover with a tea towel and let rise for another 30 minutes. Preheat oil in a deep fryer to 365˚F/185˚C. 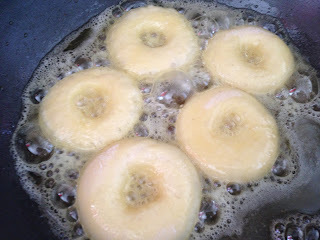 Gently place the doughnuts in the oil and let fry for 1 minute on each side, or until the doughnuts are golden brown. Transfer to a cooling rack placed in a baking pan. Allow to cool for 15 to 20 minutes prior to glazing. 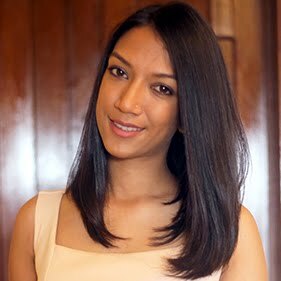 If you prefer to top with icing sugar or granulated sugar, sift sugar when still hot. 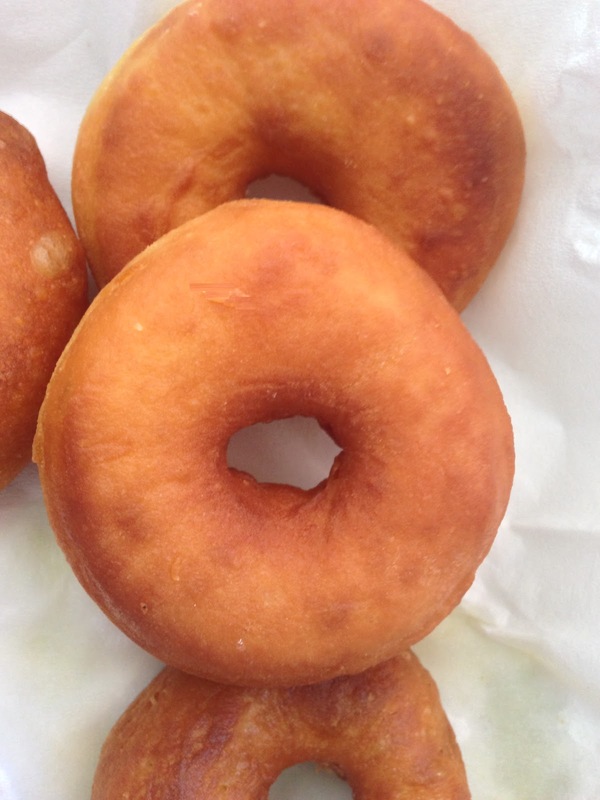 This is my second attempt at making doughnuts. The first time was a complete failure, I had to throw everything away! Everything! My mistake was, I thought the mixture was too loose even when I had used the dough hook, so I had kept adding flour until the dough was firm, very firm! That only resulted in a bread consistency! So, if you find your dough is loose (moist not wet) do not worry. If you want to glaze your doughnuts with chocolate, here is a recipe for it Chocolate Doughnut Glaze, I have never tried it myself so I cannot really say how it will turn out to be, but cooking is all about experimenting right? I noticed the dough was a bit tasteless, so maybe next time I will consider adding a little more sugar like about 10g. When it came down to shaping the doughnuts, I didn't stick to the recipe, I chose the thickness of the dough when rolling. As for the center holes, I used an apple-corer and if you don't have that, just use your finger to make the holes!